When playing sport, it’s extremely important to take care of your body; from warm-ups to protect your muscles to equipment such as pads to protect your shins or a helmet for your head. Similarly, if there’s any danger of contact to the face, it’s essential to protect your teeth with a sport mouthguard. These items can be purchased at sports stores, but to give your teeth truly superior protection you should invest in a custom version from a dental prosthetist. 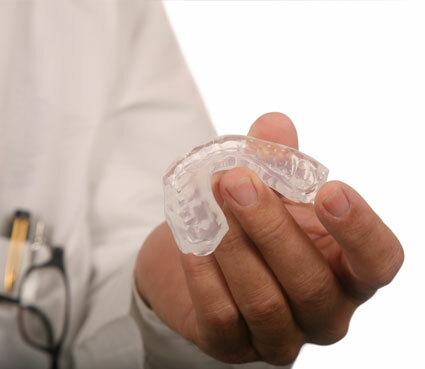 To create a custom sports mouthguard, our dental prosthetist takes an impression of your mouth with a putty-like material. We then use plaster to construct a model of your teeth. Once this has been produced, the mouthguard is vacuum-sealed around this model by a special machine. The resulting product will fit only your mouth, and will fit it perfectly. 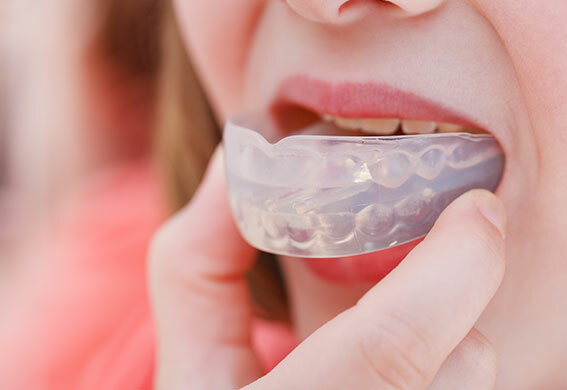 At Denture Care Clinic, we provide mouthguards for Melbourne sportspeople of all levels and ages, with expert skill and attention given to each one. For optimal protection when playing sports, come and see us at our Altona clinic for a custom guard created especially for you.